Handheld pyrometers are ideally suited for fast and mobile temperature measurement. Universally usable, they provide fast results in many situations. 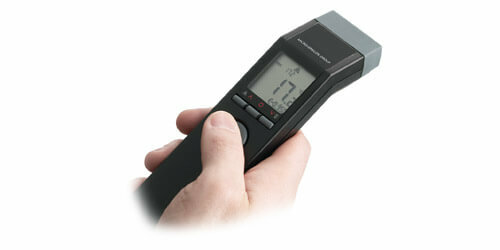 The portable thermometer P20 is applied in temperature measurements of hot surfaces between 0 °C und 2000°C. The P20 is especially suitable for high temperatures where it enables measurements to the target from a safe distance. A double laser sighting as well as a sighting scope ensure exact and simple sighting of targets. 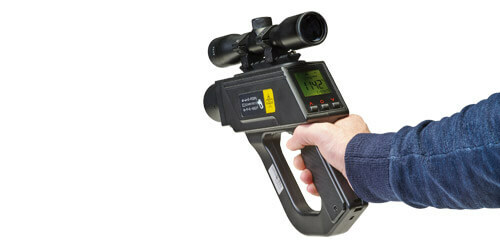 The equipment comprises an USB interface and an internal data memory for up to 2000 measurement values. Besides evaluation and monitoring functions, the included software offers an oscillator function for 20 measurement values/second.